Community Blog by ChrisHannard // Gaming's Beautiful People #2: Versus Edition OR Waluigi is the worst. 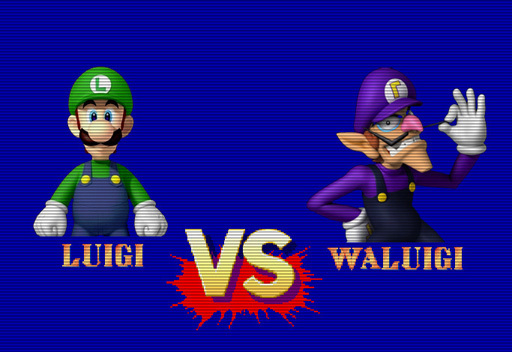 Gaming's Beautiful People #2: Versus Edition OR Waluigi is the worst. Welcome to the second installment in a terrible, terrible series that ignores each video game character's achievements, strengths and personal struggles and instead measures them by their alleged physical attractiveness. Crossed half a world looking for a cure to a disease that could kill millions? Conquered all odds to bring down a tyrannical leader? Raised an army to fight against an ancient race of planet-destroying semi-mechanical entities? So what? If your face is too wide, then you're out of luck. This round of facial bitcheness is once again made possible by Prettyscale.com, a website that analysis facial qualities, boiling down said features into a percentage and a usually scathing comment. This time around, we'll be analysing the attractiveness of various video-game rivals and discovering just who is the prettier of the pair. Let the facial flaw-finding commence! First up are long time rivals Megaman and Dr Wiley. 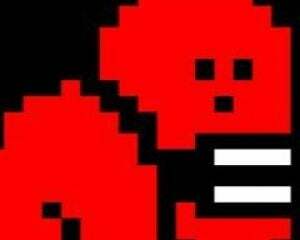 Neither are ranked particularly highly on the prettiness scale, Dr Wiley beating Megaman by a mere 6%. It's worth noting that both characters are bald - the 'helmet' Megaman appears to wear actually being part of his grossly misshapen blue skull. Wiley's 'tache may well have won him the battle, though rumours that it is in fact a separate mind-controlling entity remain unconfirmed. Though I have doubtless earned the ire of a million Devil May Cry fans by dubbing the series' original star 'Old Dante', you can't argue with the scientific accuracy of Prettyscale.com. The site may take issue with the fact that neither has a 'perfect' chin, but New Dante pulls ahead.by a full thirteen percent, ranking him as 'good looking'. You may have gone emo, Dante, but Prettyscale understands you even if your parents don't. It's not easy being an arch-enemy, especially when you're arbitarily brought into existence just because your foe's brother had his own morbidly-obese nemesis. Waluigi's temperament is further soured by the fact that he repeatedly has to explain that no, that's an inverted L on his cap, not a Tetris block. Prettyscale.com further adds to his misery by ranking him a full seven percent uglier than his rival, Luigi. While Luigi is apparently no oil-painting himself, this still makes Waluigi the lowest scoring participant in this entire pretty-off. Man may be be a 'miserable little pile of secrets', but at least we don't go around looking like a cross between Freddy Mercury and Sinestro. Despite Dracula's questionable fashion sense, he manages to pull ahead of his son Alucard, outranking him in the pretty stakes by a full 18%. Stakes, get it? Never mind..
As you may have heard, M. Bison's name was changed for the western release of Street Fighter 2, the character in fact being known as Mr Stupid Laughy Hat-Man in Japan. And Ryu was known as The Stinky Headband because, due to in-game canon, he has never onced washed his headgear. The reek emanating from his forehead may well have been what swayed Prettyscale to assign him a lower prettyness rating than his nemesis. Or perhaps Bison's ridiculously white teeth swung the vote. Either way, M. Bison is judged not-bad, and goes on to laugh maniacally in a corner. There may be no sign of Saints Row 5 on the horizon, but that's no reason not to compare two of the series more openly atagonistic female characters, Shaundi and, er Fun Shaundi. Shaundi changed pretty drastically after Saints Row 2, trading in her stoner attitude, facial piercing and dreadlocks for breast implants. As you do. In addition, she had her chin reduced and her eyes pushed closer together if Prettyscale is anything to go by. All of which means that while Prettyscale still considers Fun Shaundi good looking, New Shaundi wins the day and somewhere out there, Eliza Duskhu cries into her beer. For our final-face off, it's time to settle this long-standing rivalry.. Sub-Zero VS Scorpion. Except that Scorpion's now alive, and Sub-Zero's no longer a robot, after the both were resurrected and mind-controlled by Quan-chi and.. yeah, I'm not going to even try to follow this. According to Prettyscale, they're not going to win any beauty contest, unless all the other contestants turn up dead with their spines removed and their bodies charred. But I'm sure the chances of that happening are relatively low. Scorpion nevertheless inches ahead, ranked eight percent prettier than Sub-Zero, which I'm convinced is down to poor beard care on Sub-Zero's part. And that's it for this edition of Gaming's Beautiful People, which will be returning in February with another column with a slightly less antagonistic theme. Which characters would you like to have seen face off against each other? Sonic vs Doctor Robotnik? Mettaton vs Mettaton's Legs? Comment below.